Wild Raw Nibs are made by carefully crushing raw cacao beans (our favorite Mayan superfood used to make chocolate). Why are Wild Raw Nibs so Wildly Awesome? 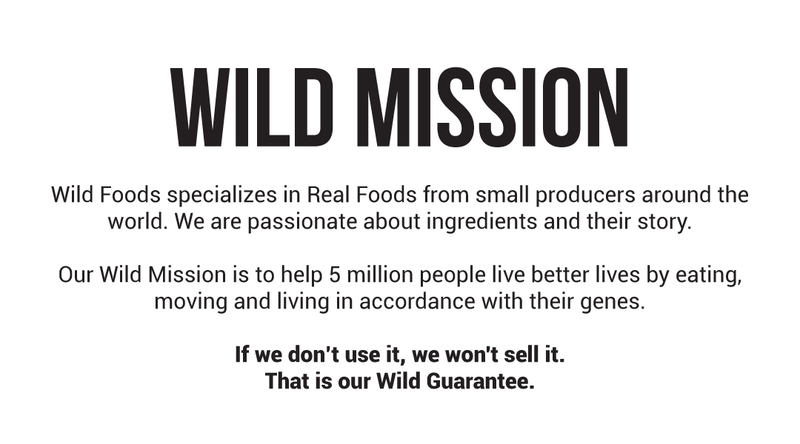 I love wild foods they are fast delivery and so nice to respond!! Their products are great!!! I'm constantly eating a hand full of this. I'm surprised by the taste I thought it was going to be really bitter or something like that but not at all. It taste and feel like your eating nuts or seeds. Which in reality it is a seed so it makes sense. I guess since it's raw and not toasted it doesn't come out bitter like the normal dark chocolate in stores. Just like coffe that it gets stronger flavor the more you toast it. Above all I highly recommend this they truly are raw and therefore you get so much health benefits from it. I've been changing my eating habits and trying to cut out sugars and everything bad. I'll most likely run out soon since I can't stop eating it. These Cacao Nibs are the best I have had thus far. I love this company!! I used to buy very pricey raw nibs from the health food store and Wild's nibs are just as good if not better and their prices are far superior! I use these in my oatmeal, smoothies and granola! Will continue to buy. I prefer Wild Food's Cacao nibs. There are three top brands I purchase . And Wild foods is on top of that list. Eat everyday with my green granola. 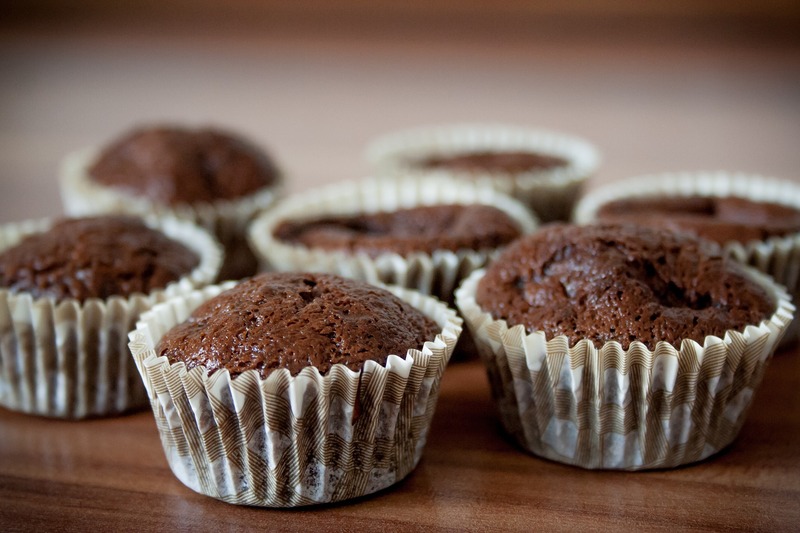 < Nuts-seeds- A.M. Grass- with coconut oil and sometimes a good pinch cocoa powder . Topped fruit of choice. Blend some raw nibs into your smoothies and shakes to enjoy a delicious, healthy "crunch." Nothing but 100% raw cocoa nibs. Support small family farmers that grow their cocoa with respect to nature and with respect to your health. Cocoa is hand grown, hand harvested and hand processed, with each nuanced step providing more opportunity to get it right (or get it wrong) during the producing process. 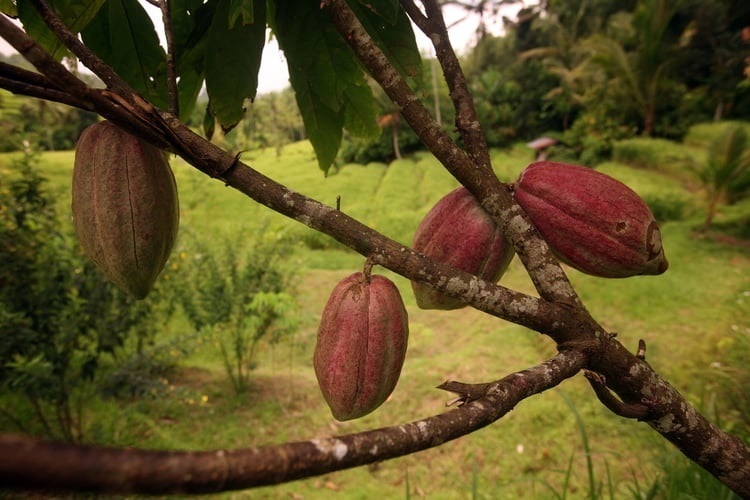 Our skilled cocoa farmers have been growing artisan cocoa for multiple generations. Our Wild Collagen Protein Shake (video below) uses Wild Raw Nibs and it is DELICIOUS! What do Wild Raw Nibs taste like straight out of the bag? They smell like a giant cup of hot chocolate, but their taste is a bit bitter, since at this point in the cacao bean's life no sweeteners have been added. How can I use cocoa nibs? Toss a handful of them in your next smoothie, sprinkle some on breakfast foods, or add them to tasty baked treats like muffins or cookies. Nope. Refrigeration of Wild Raw Nibs is not required, although it may help maintain their optimum freshness. No, not at all! 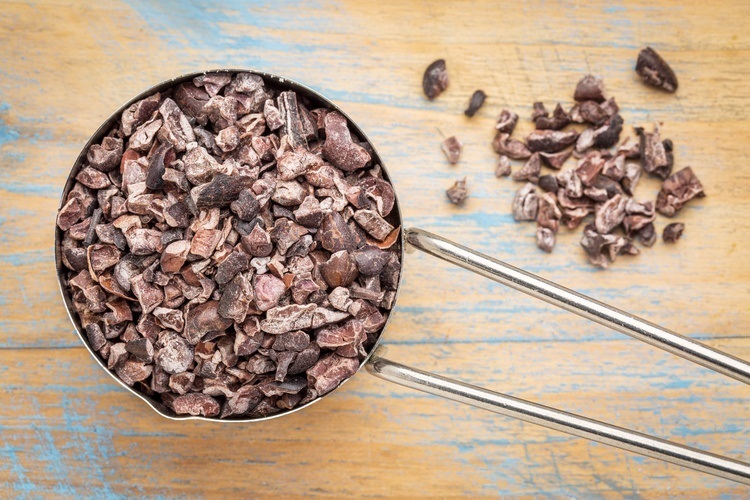 In fact, cacao nibs can actually help you burn fat thanks to their blend of flavonoid antioxidants and high fiber content. What's the carb count and other nutritional information for Wild Raw Nibs? There are 130 calories per serving. 14g total fat, 9g saturated. 8g carbs, with 6g of it being fiber, so net 2g carbs. Nope. These are 100% organic cocoa nibs. Just 1 ingredient! Wild Nibs are also free of the top 8 allergens.